5 Low Carb Desserts that are Perfect for Summertime | Top Beauty Blog in the Philippines covering Makeup Reviews, Swatches, Skincare and More! Luckily, there are tons of options out there for beachgoers and trailblazers that want a sweet treat without piling on the carbs. Provided you know where to look and are willing to put in a little extra time in the kitchen, you can make a host of dessert options that are perfect for a hot summer day. Here are 5 low carb desserts that are perfect for summertime! Sorbets and sherbets are often used interchangeably to refer to a few different types of frozen treats. For clarity’s sake, we’re aiming for a sorbet, which unlike sherbet, doesn’t involve cream. While there are lots of sorbet options you can pick up at the local grocery store, why not try making sorbet at home? The process is simple, quick, and can be customized to whatever flavors you want for your evening low carb desserts! To make sorbet, puree your favorite fruit (or fruits) and add in a bit of simple syrup, and freeze. There’s no ice cream maker or heavy mixing to be done. Pull out of the freezer when you come home from the beach and enjoy! Mousse is a thick, dark chocolate mixture that’s often rich in flavor but light on carbs. There are many variations on this classic, but for your summertime snack, why not try making mousse without any added sugars? While mousse can be made in the home, it may be simpler to seek out low-carb, sugar-free mousse mixes. With these, all you’ll need to do is add in skim milk, toss into the fridge, and serve once cool. Like sorbet, mousse is great to make before heading out into your summertime festivities. This thick, dark mixture goes great after a healthy meal and a long day out enjoying the sun. Here’s yet another option that you can make in large batches and use throughout those long summer days! Jello needs little explanation—but the pre-packaged cups can leave a lot to be desired. For your summer jello creation, gather your favorite fruits and making your own! After juicing your fruits, mix in a tablespoon of gelatin for every cup of your mixture. Simmer for a few minutes on medium, toss in a little sugar to taste, and leave in the fridge. Depending upon the age and group you’re enjoying the sun with, you might even be interested in using a touch of spirits and making jello shots as well. Either way, the classic preparation of jello is an American stable for a good reason. You won’t have to worry too much about carbs as you enjoy a few cubes of jello out by the beach. Chasing after the ice cream truck to get your favorite popsicle is probably a cherished memory for many Americans. 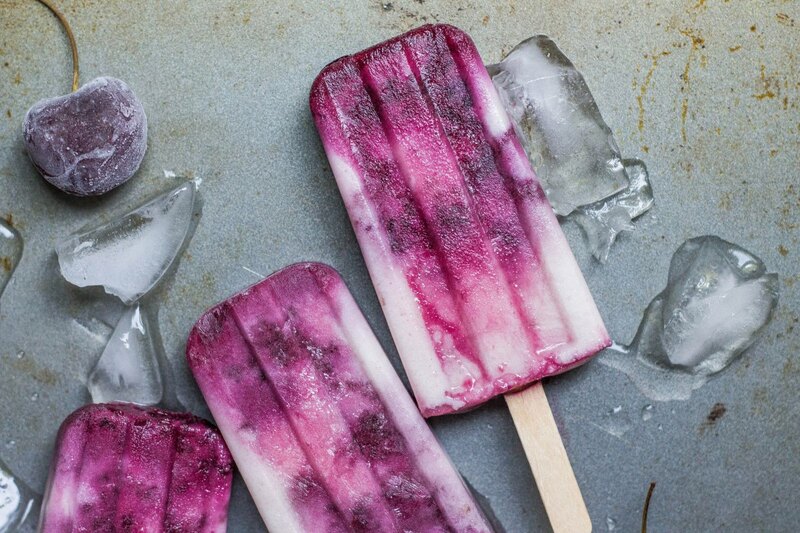 While you might be able to pick up popsicles in your area with only a few stares, we can also think of a simple and fun way you can make popsicles without breaking the bank or your daily carb limit. To make popsicles yourself, you’re going to need to make sure you have enough popsicle sticks and a popsicle mold for your freezer. After you’ve secured both, set aside as we prepare the mixture. Start by taking your fruit of choice and blending with a pinch of salt. Add in sugar and a bit of heavy cream and stir well before pouring into your popsicle mold. Let your mixture freeze for about an hour before pulling them out and sticking in your popsicle sticks. If you find that the mixture is too liquid to do so, simply wait and check again in a little bit. Once your popsicles have rested overnight, they are ready to be pulled out and enjoyed whenever the opportunity arises! If you’re interested, you can also skip the sugar to make a healthier option for the kids and adults alike. Last, but certainly not least, a good cheesecake can appease those who may not be big on the consistency of classic summer fares like popsicles or jello. Still, a slice of cheesecake and a sunset on the back deck can make this option a great choice to end a long summer day. To make a good low-carb cheesecake, use a bit of butter and sugar substitute along with finely chopped nuts. These will form your crust. Co just add in everything and bake for a few minutes to get started. For the cheesecake, you’ll need cream cheese, heavy cream, and eggs, and a dash of vanilla and sugar (if any) to taste. For the best results, you’ll want to bake this mixture, along with the crust, in a water bath. Take the pan you’re using for your cheesecake and put two layers of aluminum foil onto the bottom. Place the entire array into a larger pan filled with boiling water that won’t spill over into the cheesecake. This will aid in a good, evenly cooked cheesecake. From cakes to sorbet and everything in between, there’s no reason why you can enjoy dessert in the summertime without having to worry about an expanding waistline or breaking a low-carb diet. All of our dessert picks here can be made in a pinch at home, which will help you cut down on unnecessary and artificial ingredients and experiment around with a dessert that’s truly something special. Regardless of which dessert you go with, you can be confident and proud of your low carb creation. Thanks for sharing these. I had no idea that some of these are low crab.